Saturday, January 28, February 25, & March 31 ~ 8:00 a.m. to 12:15 p.m.
Get involved in this fun volunteer event! 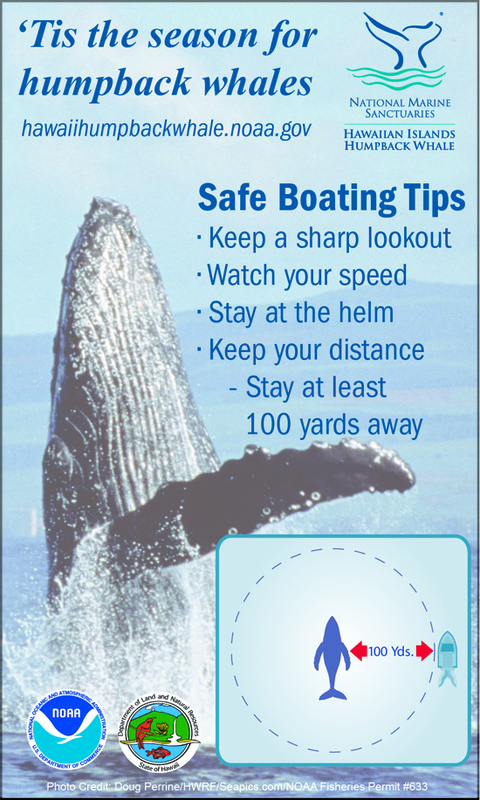 Volunteers count the number of humpback whales which can be seen around the islands over a four-hour period and record their behavior. 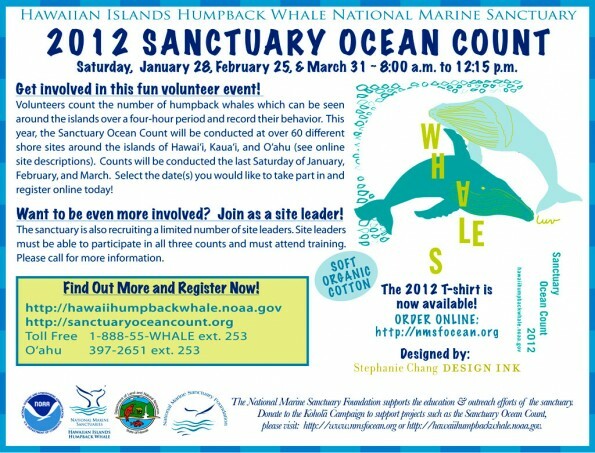 This year, the Sanctuary Ocean Count will be conducted at over 60 different shore sites around the islands of Hawai‘i, Kaua‘i, and O‘ahu (see online site descriptions). Counts will be conducted the last Saturday of January, February, and March. Select the date(s) you would like to take part in and register online today! Want to be even more involved? Join as a site leader! The sanctuary is also recruiting a limited number of site leaders. Site leaders must be able to participate in all three counts and must attend training. Please call for more information.